Nothing comes close to the fresh taste of a vine-ripened, homegrown tomato. Luckily, they are easy to grow and maintain. 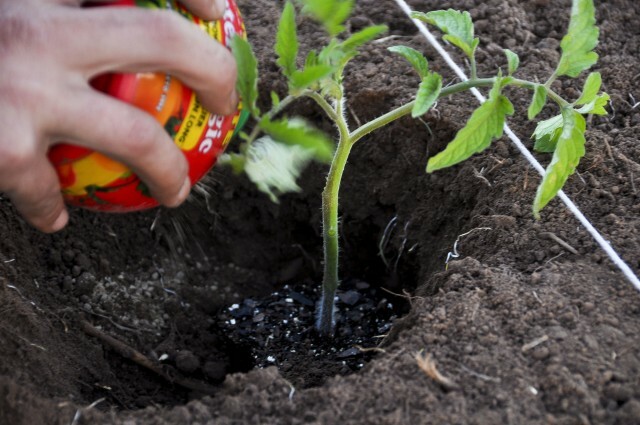 Here are some quick tips and reminders to help you start your tomato plants off right. Find an open, sunny area that gets good drainage. 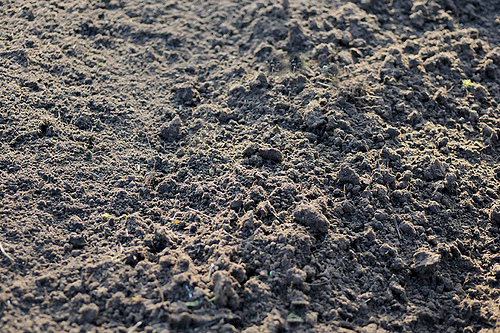 Get your soil nice and soft, turning it over a couple of times to get rid of the weeds, grass or old roots. 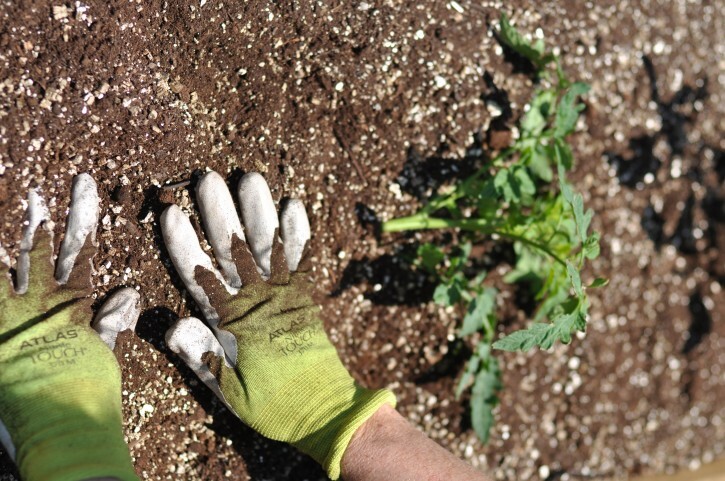 If using a raised vegetable bed, put in the top soil, plus compost, and plant quickly after. Make sure that the soil isn’t too wet, as that can cause the potato seed to rot. Add some compost, manure or grass clippings to amend your clay or sandy soils to help the water drain. 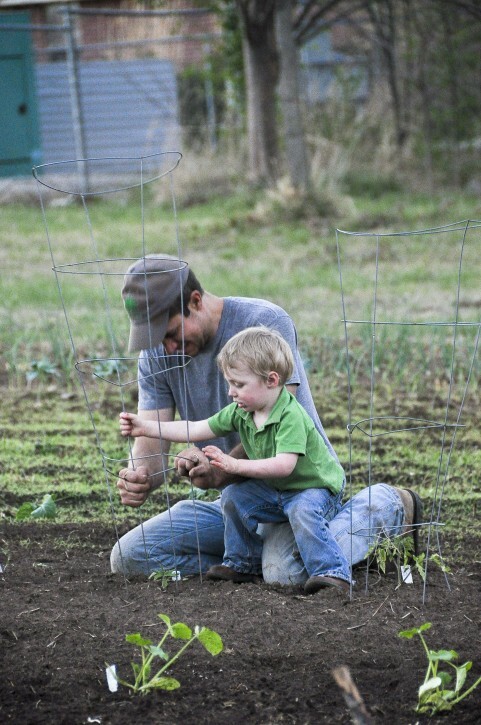 Get a ball of twine or yarn, tie it around a stake and place it at one end of your garden. At the opposite end, line up the twine and make it taut, then hammer in your second stake making a nice, visual guide line. This will help keep your rows nice and straight. 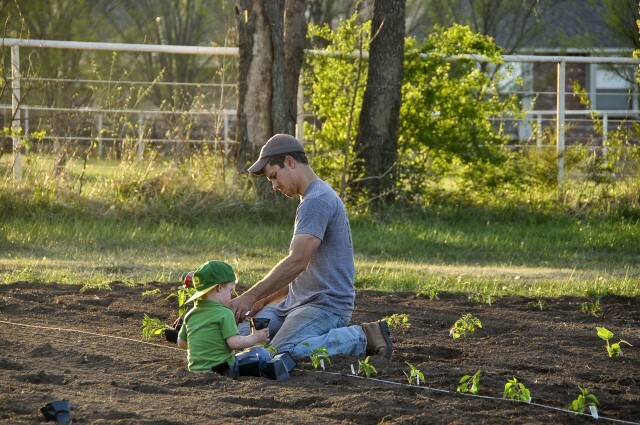 Tomato plants require a lot of sun, so pick a spot in your garden that receives good afternoon sun. 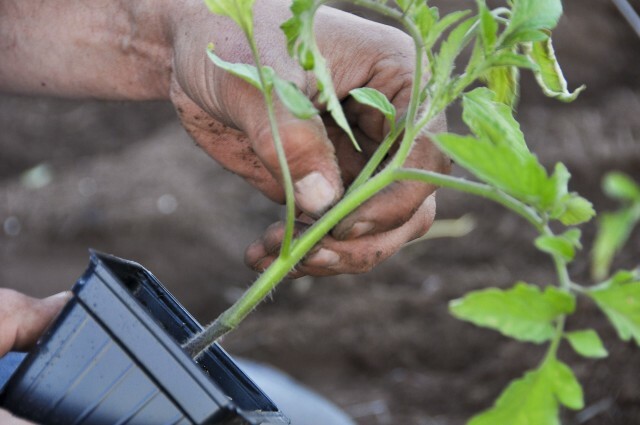 Space each tomato plant at least 18-36″ apart, allowing them space to grow and get plenty of air circulation. 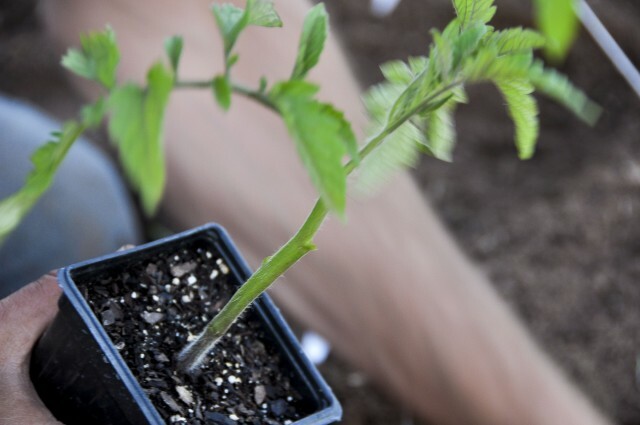 First, look for tomato plants that are healthy with green stems and leaves. 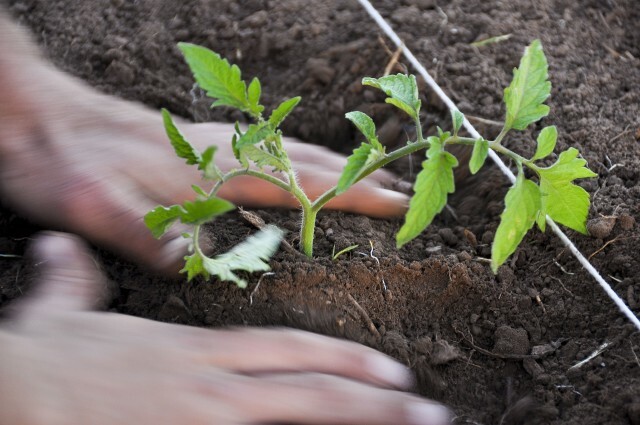 When planting, pinch off the lower set of leaves or stems growing from the main stalk. 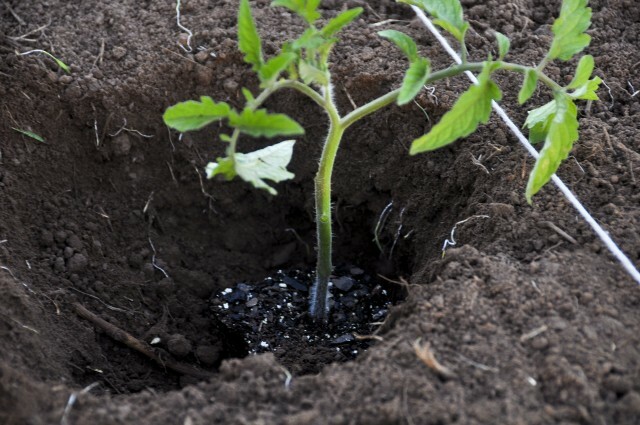 This will give you a longer stalk, and since tomatoes can root off of their stem, this allows you to plant it in a deeper hole stimulating a good root system. After picking off the lower leaves, you will end up with a stem looking something like this. 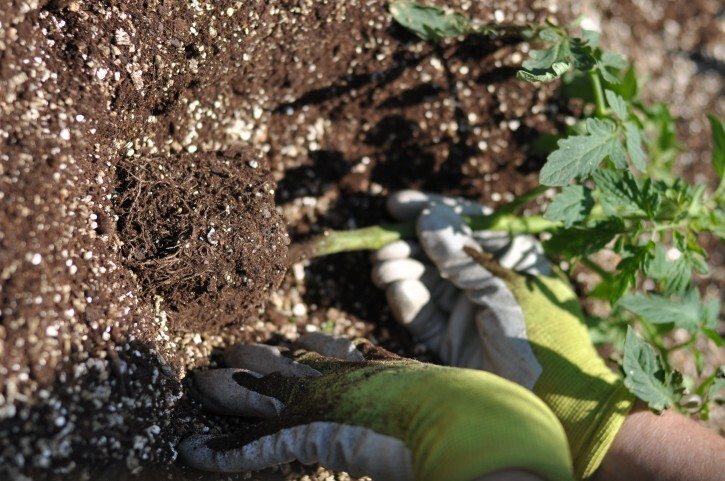 Dig a deep hole, far enough where you can bury most of the plant stem. Apply a nice organic fertilizer to promote the rooting system and get the plant off to a healthy start. 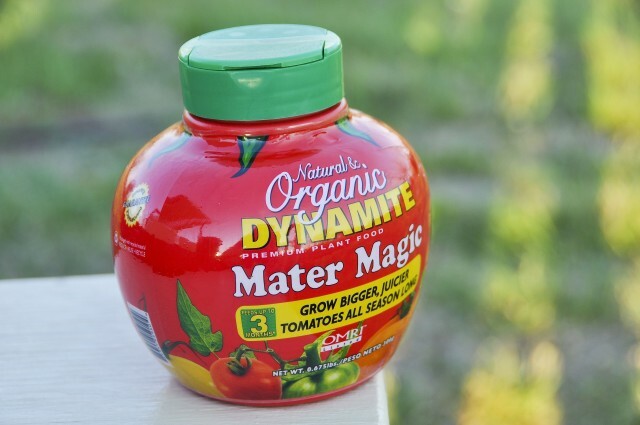 We carry a natural plant food called Mater Magic®, which is great for most garden vegetables, including tomatoes, peppers, and more. Sprinkle in and around the root system. Cover the roots and stem with dirt. Be careful not to harm the stem and leaves that are exposed. 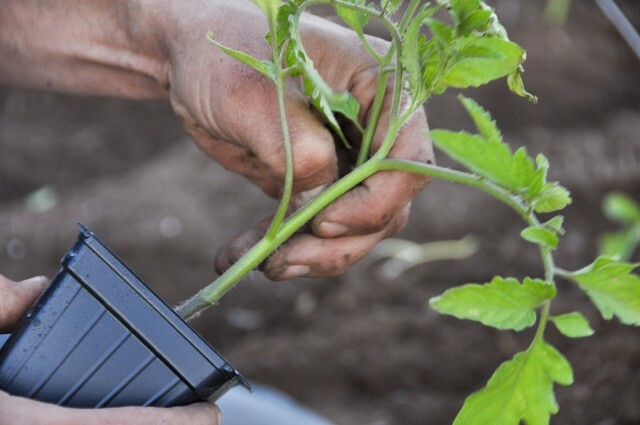 Mark your tomato plants with the variety. 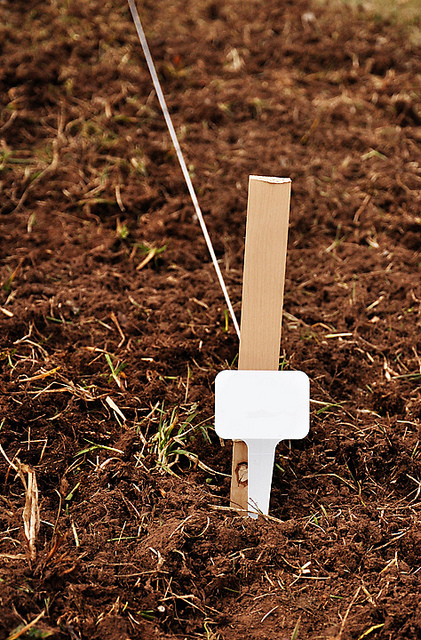 Another method of planting is the trench method. You do this by simply digging a shallow, long trench. Place the plant sideways in the trench by laying it on its side. Finish by fertilizing and cover the stem with dirt. The plant will grow up towards the sun. When using this method, be sure to take care when placing your cages that you pierce the root system or stem. You will need to add the tomato cages within the first two weeks. Doing so in the beginning gives you more room to work with making it easier to not harm the plants root system, though these can be installed when the plant is getting to tall and not able to support itself. Tomato cages can be made up of anything, your more familiar cage, as shown below, or out of wood. It is best to purchase these with a long term mind. Make sure that your cages aren’t flimsy and will hold up through many years of homegrown tomatoes. Water in your new plants within the first 2-4 days. Drip line watering is recommended. Water 2-3 times weekly, increasing the frequency and amount when the weather gets hotter. 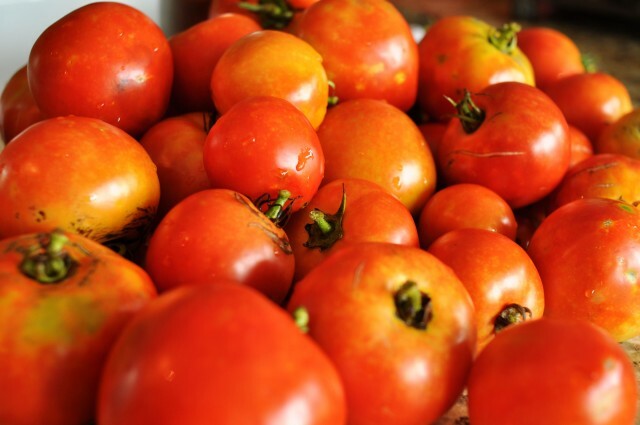 Soak the tomatoes by giving them equivalent of 1-3″ of rain weekly. 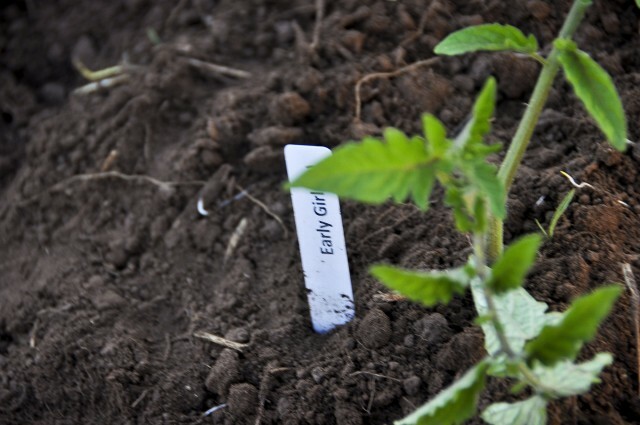 Tomatoes will ripen generally 60 days after planting. They will start off green and soon turn to the deep red color. When they are ripe, you should be able to give a soft squeeze in your palm, without damaging or bruising the fruit. Pick them when they reach this stage. Slice them and enjoy them on a salad, sandwich or with a dash of salt. You will never want to go back! And most importantly, try to find the best little helper around!! 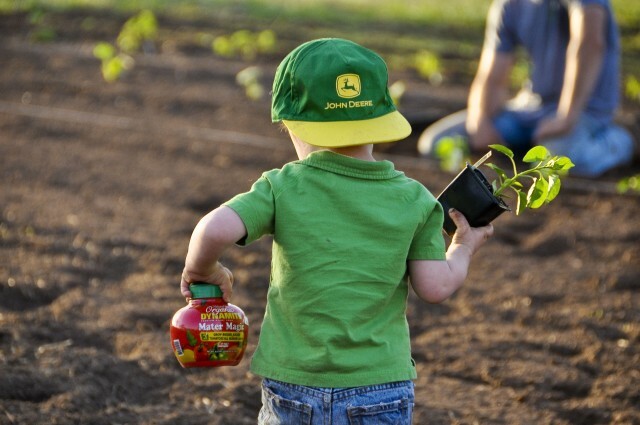 Starting his green thumb early! !